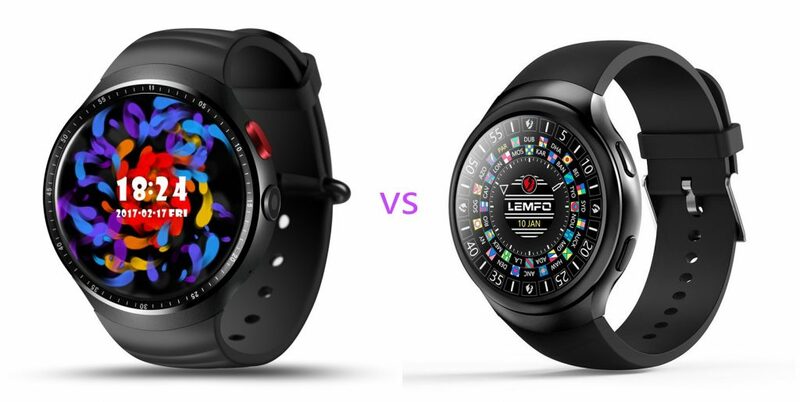 Home » Smart Phone Watches » LEMFO LES1 and LEMFO LES2, Which is Better? LEMFO LES1 and LEMFO LES2, Which is Better? In a world where busy is an everyday term, we are in constant need of making life more convenient. For manufacturers of items such as watches, this multitude of tasks has led to a complete change in how they are designed. The shift from analog to digital continues to happen daily. In the wake of digital consumers, watches such as the LEMFO watch gives us a convenient accessory to work and plan with. 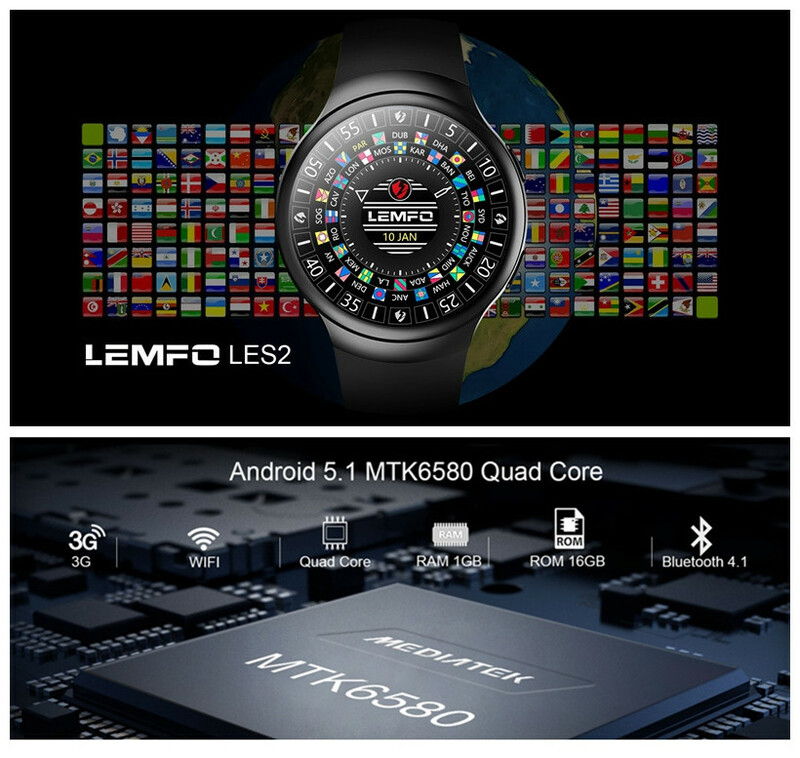 The LEMFO watch is a digital smartwatch which utilizes the Android OS for its operations. It is a unisex watch with a smooth and simple designed that is packed with features to help you to get through your schedules with ease. The LEMFO watch comes in two versions, LES1 and LES2. They have a similar circular design and rubber strap. However, there are some fundamental differences between them which users should consider when purchasing either. As mentioned earlier, the LES1 and LES2 have very similar design specifications. They are both available in either black or silver. One fundamental difference between them is that LES1 has a camera when LES2 does not. LEMFO opted out of the camera after most consumer reviews revealed that it was not satisfactory. When it comes to displaying, the LES1 uses an AMOLED display screen which is reportedly smoother and more vibrant than the LES2’s IPS LCD screen. The LES1 is also significantly larger than the LES2, having a screen size of 1.39” and 1.3” respectively. The screen resolution for LES1 is also higher at 400 x 400 pixels compared with LES2’s 360 x 360. Both of the watches run primarily on Android OS –although they are also available with iOS – and the features do not seem to have significantly changed for the LES2. However, the OS has been reviewed to run better on the LES1 than LES2. The latter has also eliminated some of the functionality which was a plus on its predecessor, such as the small mode screen which made features more easily accessible. 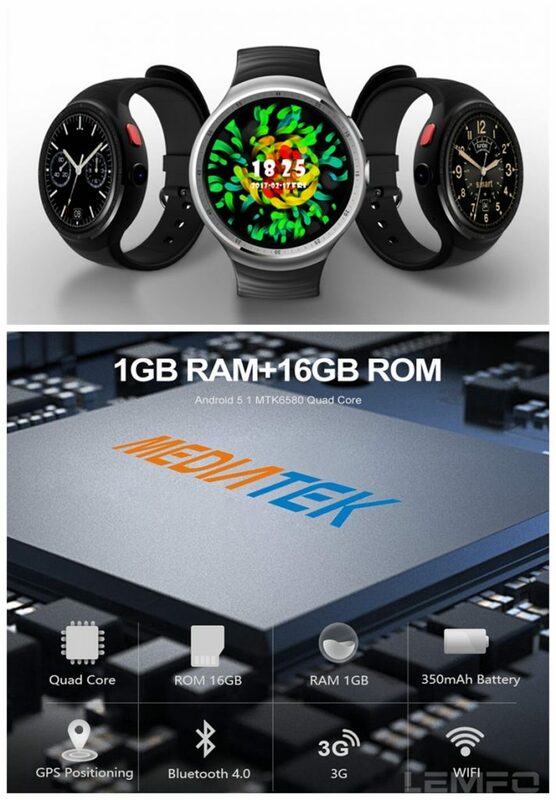 Both watches have an MTK6580 1.3GHz Quad Core processor and similar capacities of 1GB RAM and 16GB internal memory. The sensors installed are also quite similar and feature general functions such as heart rate monitoring, GPS tracking, and a pedometer. For durability and body resistance, the LES1 is made to be waterproof but the manufacturing company cautions that it is not suitable for showers, swimming, and diving. The LES2 is not made to be waterproof at all. An added feature of the LES2 that is missing in the former watch is the ability to wake the screen of the watch by flipping your wrist. Other than that, both of these watches share a great deal of similarity.